NEW YORK — Kim Kardashian is about to cash in on the beauty craze she helped start. 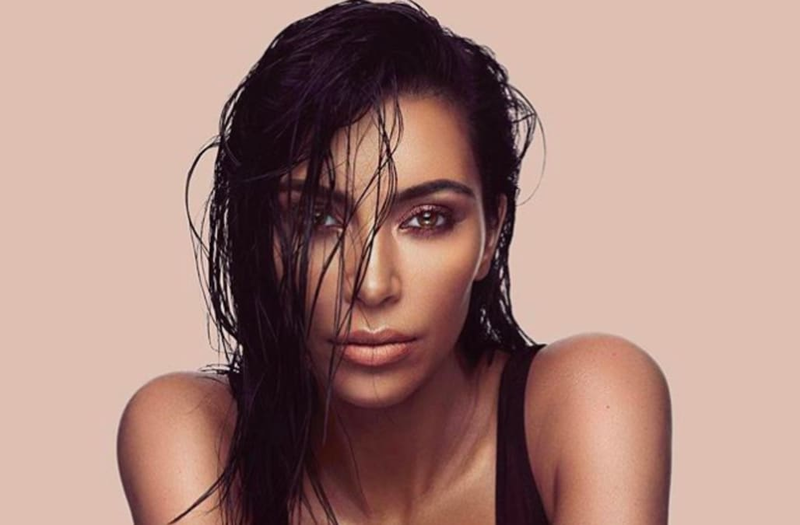 Today, the reality star and entrepreneur, long known for her contoured makeup, is launching her first stand-alone venture in the beauty space, KKW Beauty. In Kardashian's first interview since revealing her fragrance and future beauty plans last week at Forbes Women's Summit, the 36-year-old told WWD she's ready to meet the intense demand of her fans on social media and beyond. Kardashian dipped her toe into beauty in April by collaborating with Kylie Cosmetics, the runaway success founded by her social media phenom sister, Kylie Jenner. The KKW by Kylie Cosmetics crème lipstick set was a litmus test. According to an industry source, 300,000 of the $45 kits sold out in minutes, the equivalent of $13.5 million in sales. This sell-through gave Kardashian, as well as her partner and manufacturer, Oxnard, Calif.-based Seed Beauty (also the parent company of ColourPop) the confidence to go big with the first "drop." "We have a good model, and even from our lip kit, we have a really good general idea of what our customer is going to be like. We are definitely prepared for the demand," Kardashian said, noting that her lipstick collaboration with Jenner sold out in mere minutes. Industry sources expect that KKW will blow through the reported 300,000 units that were produced of her $48 Creme Contour & Highlight Kit in less than five minutes, amassing $14.4 million in sales. These estimates are proof that even with no prior experience at the helm of a beauty brand, Kardashian — as well as 19-year-old Jenner — wields a selling power that rivals behemoths in the space from L'Oréal and Estée Lauder to P&G, Coty and Unilever. More: Go behind the scenes of Kardashian's KKW campaign shoot. An expert at building buzz online, Kardashian started teasing the KKW Beauty line to her 101 million Instagram followers last week, leading up to the launch of kkwbeauty.com on June 21. A sneak peek at packaging, campaign images and even three videos with a flashing release date of the collection have garnered millions of views and likes so far — an early indication of the frenzy that's sure to take place when the site goes live in two days. Read the full interview with Kardashian here.